Sheba had been losing weight and had increasing disinterest in food when she came to see us. Her owner feared the worse because Sheba, a German Shepherd, was getting old and had really lost her zest for life. Her initial examination did not inspire much hope – a large mass was palpable in her abdomen and blood tests demonstrated markedly high liver pathology. 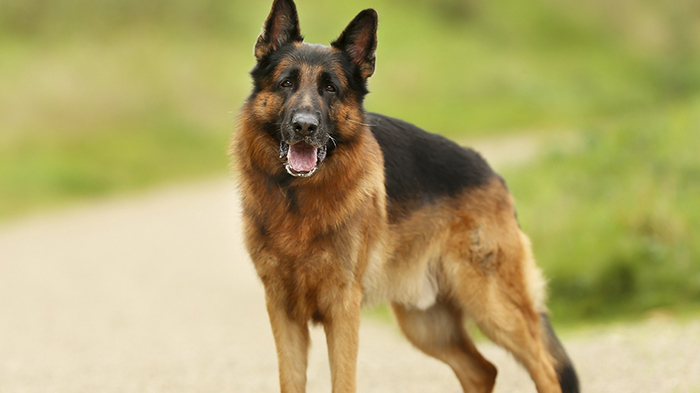 The situation seemed grim as older German Shepherds with abdominal masses are known to have poor outcomes. However, a true scientific approach demands that the problem is defined more accurately. Abdominal radiographs confirmed the presence of a large mass, but it was the following ultrasound examination that gave us the most information. We could tell on the ultrasound that the mass was confined to one lobe of the liver and there appeared to be no involvement of any other abdominal organ. This result was more promising and gave good reason to go ahead with surgery to remove the mass. During surgery one liver lobe, along with a large mass attached to it, was removed. We sent the mass to pathology for testing and were very relieved when the result came back that the lump was benign and had been completely excised. This was the best news we could have hoped for and Sheba is looking and feeling so much better. Although benign, tumours like this one can still be very problematic and life-threatening. They have the potential to rupture and bleed, can distort the normal function of the liver and other metabolic pathways, and can be very painful. They also have the potential to transform into malignancy. It was important that it was removed. Sheba’s situation served to highlight that when things look grim, whilst there is a glimmer of hope, we will do everything we can to achieve a happy ending!